Do you know what the 'The Open Web' or The Indie Web' is? Apparently, this movement has been around a while spurred on by the desire for content to be uncontrolled by big company buyouts and silo'ed social networks but to let everyone co-exist big and small and have the users of the web in charge of their content. The Open or Indie Web is a place where my searches and identity is not co-mingled or controlled by big entities like Google, Facebook and Twitter. Basically, the Indie Web makes the choice is ours and is distributed and decentralized. 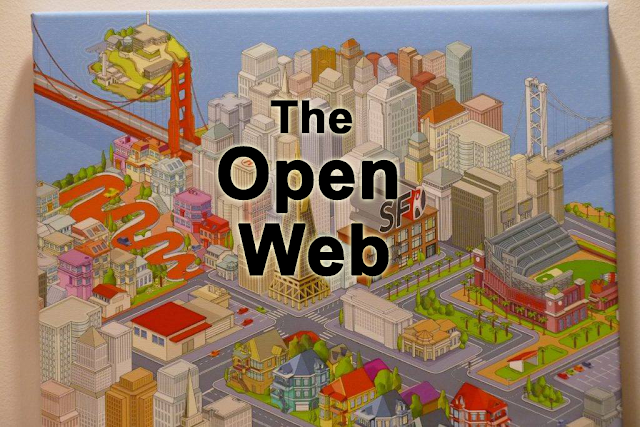 Listen to Marc Canter and Ben Werdmuller at a recent SF New Tech event discuss "The Open Web". Check it out.